Orangeburg, S.C. – A season sweep, and revenge will highlight Wednesday (Mar. 20) second meeting between Claflin University and Francis Marion University on the baseball diamond at Historic Mirmow Field. The contest gets underway at 6 p.m. with Miss Orangeburg County 2019 Addie Ledbetter throwing out the first pitch. The Panthers will be looking for the season sweep while the Patriots will be looking to avenge an early season loss to Claflin. The series took a twist in the first outing when the Panthers defeated Francis Marion for the first time. 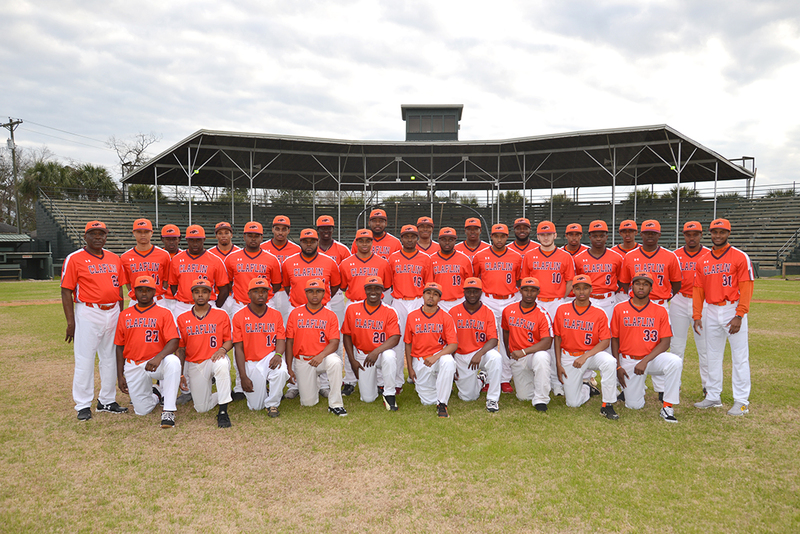 Claflin used the strong pitching of Cleveland Westbrook, who tossed a complete game, and Clyde Parker grand slam in winning 11-6, ending a string of 16 straight losses to the Patriots. The Panthers finished the Pepsi Pop-Off Series, the 2019 opening series, as the only unbeaten team at 2-0, knocking Southern Wesleyan 13-12 in the first game. Since the early season trip to Florence, Claflin has gone 12-8 for a 14-8 overall record. As for Francis Marion, the Patriots have won 15 of 23 games since the loss for a 17-9 record. The two teams came out on different ends last weekend. Claflin took two-of-three games from Tuskegee University with Makai Holloway throwing a no-hit shut-out in the series finale. Holloway, 3-1 on the season, issued just two walks and faced 24 batters, three over the seven-inning minimum to go with eight strike outs. Holloway joined Cleveland Westbrook and Dillon Parker, who pitched a complete game in the series-opener against Tuskegee, with three wins. Holloway holds a sparkling 2.05 earned run average, while Westbrook leads the team in strike outs with 34 strike outs in 29.2 innings. Parker has fanned 30 batters in 38 innings of work. The Panthers offense got back on track against Tuskegee, finishing the series with a .357 (35-for-95) team batting average and 23 runs. For the season, the Claflin is hitting .310 with 12 home runs, 171 runs and 226 hits. The Panthers have three players hitting over the .400 mark with Craig Hopkins topping at .433, with three home runs and 22 RBIs. Gerardic Dobbs is next at .405 with a team-high 32 hits followed by Eric McElveen, who’s hitting .400 at the plate and 30 hits. Clyde Parker is batting .375 for the season with 22 RBIs. Francis Marion, which dropped its weekend series to Young Harris College, 2-1, is hitting .290 as a team with 220 runs including 16 home runs. The top offensive weapons for the Patriots are Cole Hinnant and Alex Griffith. Hinnant is hitting .391 with three home runs and 27 RBIs, while Griffith has added a team-high four home runs and 24 RBIs to go with a .274 batting average at the plate. The Patriots host two pitchers with 4-0 records, Isaac Rogers and Evan Flynn. After the Francis Marion matchup, Claflin will travel to Southern Intercollegiate Athletic Conference (SIAC) member for Paine College on Sunday (Mar. 24) for a single game at 1 p.m. Note: MISS Orangeburg County 2019 Addie Ledbetter is a native of Summerville, S.C. She will compete in the Miss South Carolina pageant in June in Columbia, S.C.